A big kit for the modeler who requires large scale, accurate detail, and a finished model that will handsomely grace any figure collection. 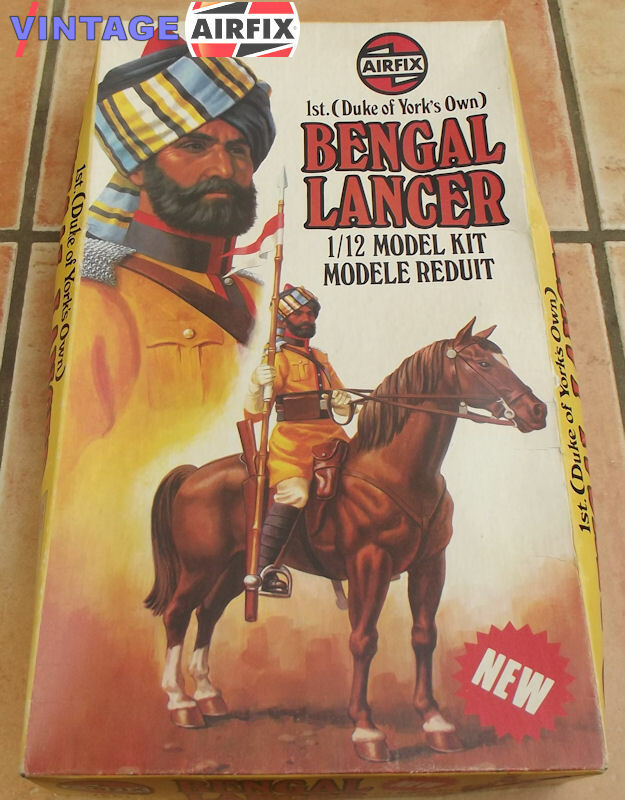 Appropriately enough, the subject is a colourful one, a Bengal Lancer or to give it its correct title, an officer of the 1st (Duke of York's Own) Bengal Lancers (Skinner's Horse). Dressed in distinctive yellow coats, this famous regiment served in the British Army for nearly 150 years until their aborption into the Indian Army in 1947. Highly detailed, this kit completed measures almost 12in. tall and 9in. long.